Tahani Bahassan from Wood Group PLC can confidently say that she is a more effective training coordinator after completing the Institute of Leadership & Management (ILM) Professional Training Coordinator course at GLOMACS. The ILM endorsed training course is designed specifically to recognise the vital role of those working in training and development. During the training, Tahani worked on the skills needed to Master the Training Cycle, maintain a happy workforce and achieve organisational learning goals. Tahani has worked at Wood Group PLC for two years as a Business Administrator & Training Coordinator. 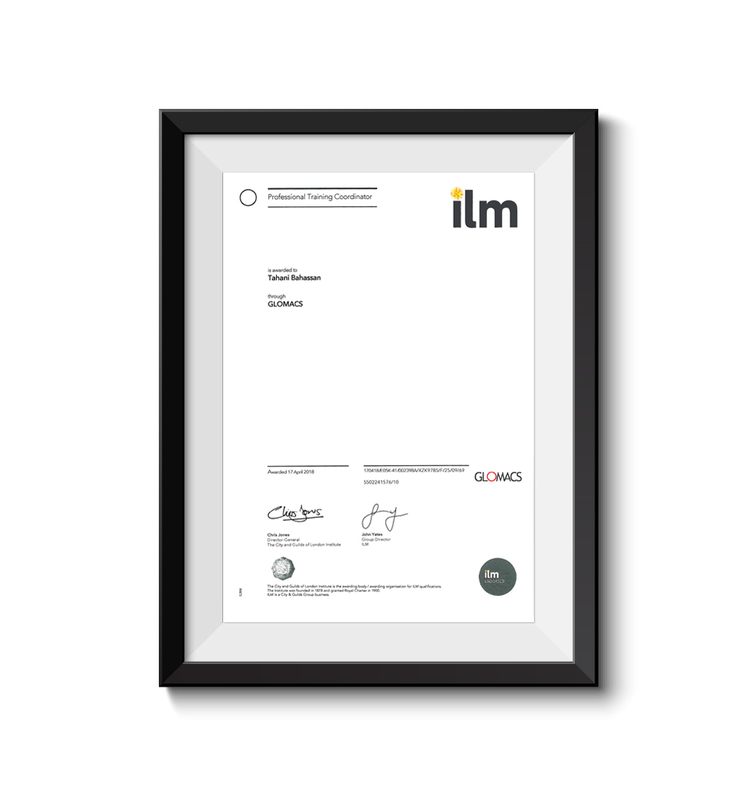 GLOMACS runs a range of ILM endorsed courses including the Professional Training Coordinator. For further information about ILM endorsed training courses available in your area please visit http://glomacs.com/certified-courses/ilm. The Institute of Leadership & Management (ILM) is Europe’s leading management organisation. ILM partners with more than 80,000 individuals and organisations each year to help them fulfil their potential and achieve success through its wide range of flexible leadership and management development solutions. From industry-leading qualifications and membership services to specialist learning resources, all ILM products and services are built on in-depth research and benchmarked against best practice standards. Supporting a fast-growing community of over 30,000 practising leaders and managers, ILM’s membership services are designed to provide ongoing continuing professional development throughout every stage of a manager’s career. Backed by an in-depth programme of thought leadership research, ILM operates internationally, improving leadership and management skills, knowledge and outputs across all sectors, from corporate finance to the armed forces.